Making your own clothes is a great way to achieve personal style and to have unique clothes that you won’t see any one else wearing. I also love the idea of turning an old garment into something new by changing the styling or adding embellishments to create an individual piece. My love of sewing started at an early age at home with my Mum. I studied Clothing Technology and Design at Hollings in Manchester, became a designer in the clothing industry and then worked freelance whilst teaching adults for a local college. 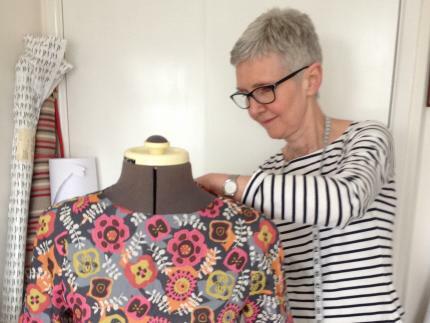 I started ‘Love Dressmaking’ in 2010 and have enjoyed sharing the skills I have acquired through my life-time of dressmaking experiences, with many people. I offer individual tuition, dressmaking courses and workshops to learners of all levels, with lots of enthusiasm, inspiration and encouragement.